Meeting Jesus With Sand Between Your Toes • Run Hard. Rest Well. Unrest rises up from many places. Sometimes it’s guilt. Weighed down and burdened by that which we’ve done or neglected to do, it erects a barrier keeping us from peace – denying us access to the rest we will find in Him. Written in 2006 for Indeed (a Walk Thru the Bible publication), the following message is timely as we make our way to Good Friday, the cross and the One who paid the price from our sin. Jonah was a man with a mission – a mission directly from the mouth of God. “Go to the great city of Nineveh and preach against it. . . ” Jonah 1:1-3 (NIV) Not taking a fancy to his marching orders, he laced up his running shoes and did a 180. Climbing aboard a vessel bound for Tarshish, Jonah settled himself below for an afternoon nap. Calm seas transformed into a boiling rage. Sleeping through the pandemonium, the captain woke Jonah with a frantic order to pray. The misguided prayers and gallant efforts of the crew proved futile. Jonah suggested the unthinkable. Despite the sailors’ reluctance, desperation trumped their resolve and Jonah was hurled into the churning sea. Gulp! God met Jonah in the dank, dark belly of a great big fish and transported him back into fellowship with God. Three days later, after an abrupt ejection, Jonah found himself squinting in the sunlight, inhaling fresh air and wiggling his toes in the firm foundation of a sandy beach. Attitude readjustment – complete. Nine hundred years later, the Bible records another memorable beachfront encounter. After a long night of fruitless fishing, John recognized the person on the shore as the resurrected Lord. Hearing this, Peter dives into the water. He is determined to make his way to Jesus who he had seen alive, but never alone since the night of his arrest. Still haunted by Jesus’ eyes, Peter could not erase the memory of his betrayal. Here was his chance, an opportunity he could not resist. Breathing hard and dripping wet, Peter moves closer to the smell of roasting fish and the eyes of the One he loves. These quiet moments were private. We are not privy to this reunion. Yet, it’s familiar territory. Bottled tears and healed wounds attest to my own seaside journeys. Formed from the same dust, these fellow pilgrims mirror my own sin and shame. Jonah disobeyed. Peter betrayed. Their relationship with God sustained a fracturing blow. Each succumbed to fear and self-interest. It splintered their hearts with guilt and pain. The story does not end there. Jonah and Peter experienced the taste of new life via a hungry fish and breakfast on the beach. Our Lord lets nothing stand in the way of surprise endings. He’s orchestrated a multitude throughout history and has no intent of stopping now. At times like this, the Lord longs to meet with us alone, face-to-face. He is prepared to convict us, captivate us – and reconnect our wandering heart to his own. What can we learn from these men of old? Radical fear and failure are a part of human existence. Don’t set yourself up. You’re not immune. But don’t forget the Truth. There is One who spares nothing to reveal the breadth of his tenderness and might. God desires our full attention during moments of reconciliation. He likes quiet, undistracted encounters and he’ll go to great lengths to make it happen. When you recognize a growing gap between you and God, take off your shoes and head for the shore. Create some time and space just for him. Catch your breath. Get outside. Quiet your mind. 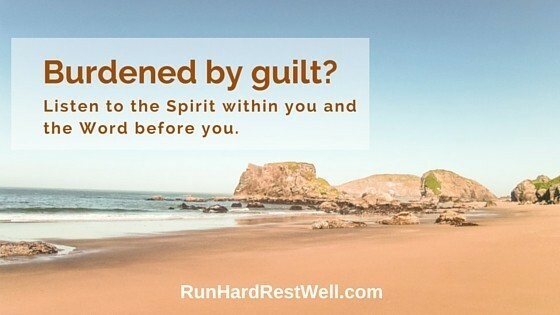 Satan will do everything he can to keep you racing and running hard. He counts it a success when we are winded and operating on the fumes of an empty tank. Resist the temptation. Embrace God’s open invitation to a beachfront rendezvous. Then listen – listen to the Spirit within you and the Word before you. Reestablish eye contact. Splash in the depths of his mercy and grace. Feast on the fish he offers – then buy that ticket for Ninevah. Thank you for this reminder that God still wants me even when I have sinned/ become distracted. For the reminder to refocus/ draw near. Bonnie – He is the Healer and Hope Giver! We need each other on this one…to encourage and support. No lone rangers…just sweet reminders. Betty — You nailed it~! God shows up in the least likely places. He show up in our places.